On 26 April 1937 the Nazi Condor Legion, working on behalf of General Francisco Franco, bombed the Basque city of Guernica. The city arguably had no real strategic value, but had huge symbolic value in Franco’s attack on the Basque country in that Guernica was the ancient ceremonial capital of the Basques. The nature of its destruction – the mass bombing of civilians from the air – more so than the destruction itself caused widespread revulsion throughout the world and was made famous by Pablo Picasso’s evocative painting, first exhibited at the stall for the Spanish Republic at the World’s Fair in Paris in 1937. The destruction of Guernica however, was part of Franco’s wider, brutal campaign against the existence of the Spanish Republic in the north of the peninsula. The campaign led not just to widespread destruction of property, but thousands of civilian casualties too, as well as widespread displacement. With access to the rest of the Republic cut off, many sought refuge abroad. 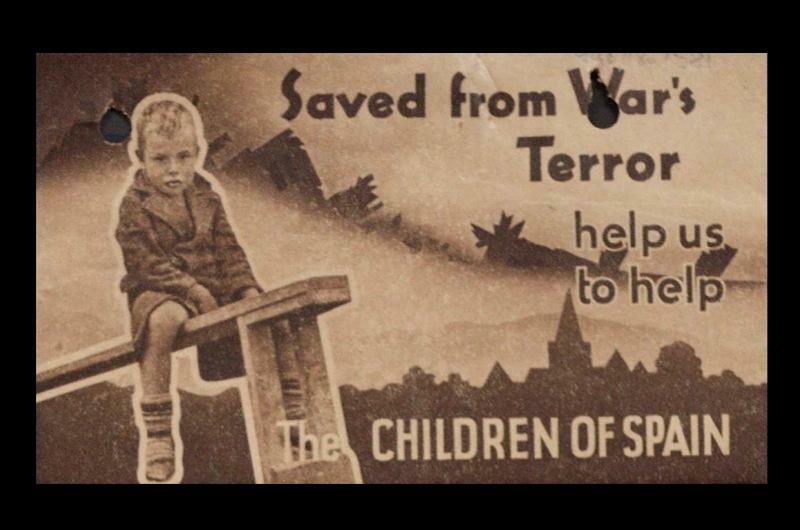 Spanish aid campaigns had by this time spread to every city and town in Britain, and a plan was organised by the British National Joint Committee for Spanish Relief that saw some 3,800 Basque children evacuated to England and Wales for the duration of the war. The British government, pursuing its perfidious policy of non-intervention in the conflict (denying aid to the Republic while turning a blind eye to mass Nazi and Italian Fascist aid to Franco), refused to be responsible for the children. The ‘Basque Children’s Committee’ was formed which had to guarantee a fund of 10 shillings per child per week to ensure their care and education. Charity envelope issued by the National Joint Committee for Spanish Relief From the archives of the Trades Union Congress, Modern Record Centre, University of Warwick, reference: 292/946/18a/58. 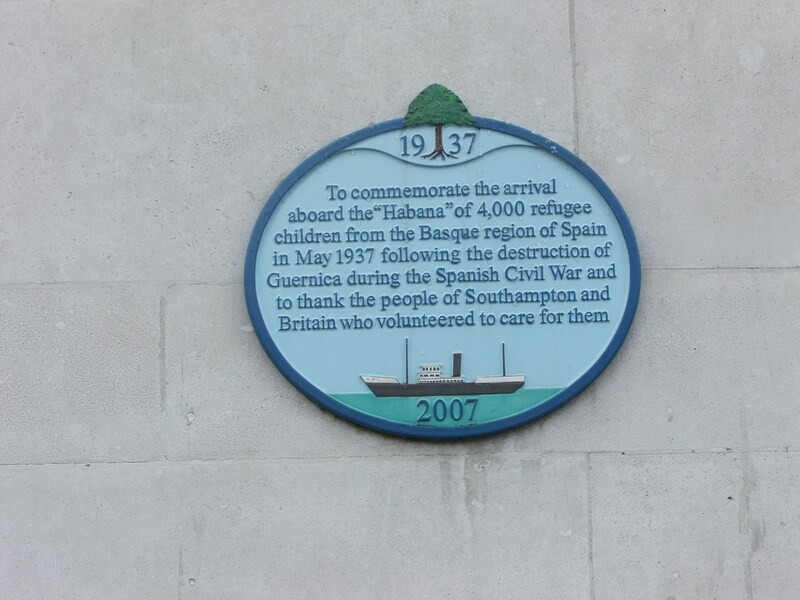 The children left for Britain from the port of Santurtzi on board the steamship SS Habana on 21 May 1937, arriving in Southampton two days later. Upon their arrival, the children were sent to a camp in North Stoneham in Eastleigh (see original reports here) before being dispersed to ‘colonies’ throughout England and Wales in places such as Bradford, Bristol, Cambridge, Oxford, Keighley, Caerleon, Hull, Langham, Leeds, London, Maidenhead, Manchester, Swansea, Witney and Worthing. By mid-September, all of ‘los niños’ as they became known, had found homes with families. Most were repatriated to Spain after the war but some 250 still remained in Britain by the end of the Second World War in 1945. These children grew up in Britain, and some are still alive today. Recent years have seen a renewed interest in their story, and have seen the erection of plaques at the former colonies, newspaper articles, documentaries, books and memorial organisations, and efforts have been made to record the stories of those who are still alive. The Basque Children of ’37 Association was set up in November 2002 and aims to reunite the surviving niños and preserve their memory through the collection of oral history and documentation, as well as commemorate their story through the erection of plaques in the former ‘colonies’. Among its activities is a useful website and an annual lecture in London. Here is a photo of a plaque I saw recently at the central library in Southampton, which was erected by the Association in 2007. To read more about their remarkable story and how they have been remembered, see the doctoral thesis by Susana Sabín-Fernández here.